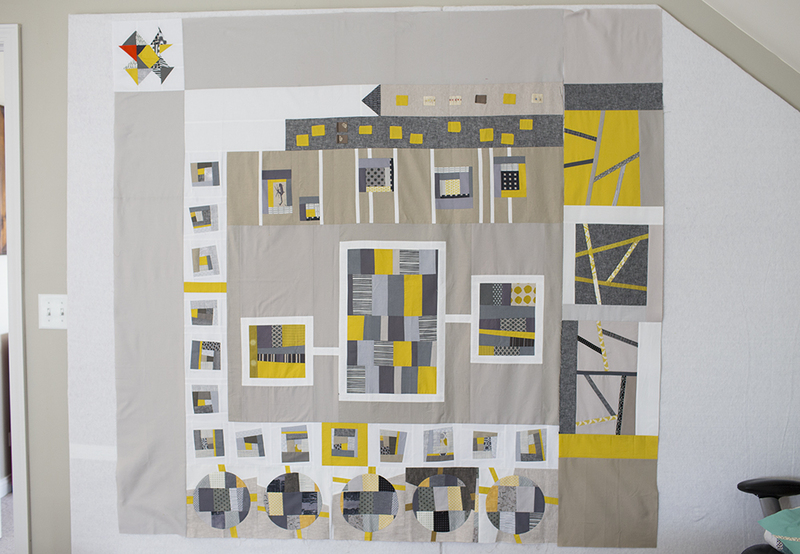 So, who remembers the Traveling Quilts Bee? Wow, things reeeeeally slowed down for us over the last year. We have some awesome members of the bee that have done amazing things over the last year: launched fabric lines, put on QuiltCon, written books. Luckily no one seems upset about the slow progress. I just finished my latest round, working on Alissa's quilt top. If you follow Alissa's blog, you know she likes modern and she likes minimalism. Well, I'm not sure you are going to get a minimalistic quilt out of this type of bee. 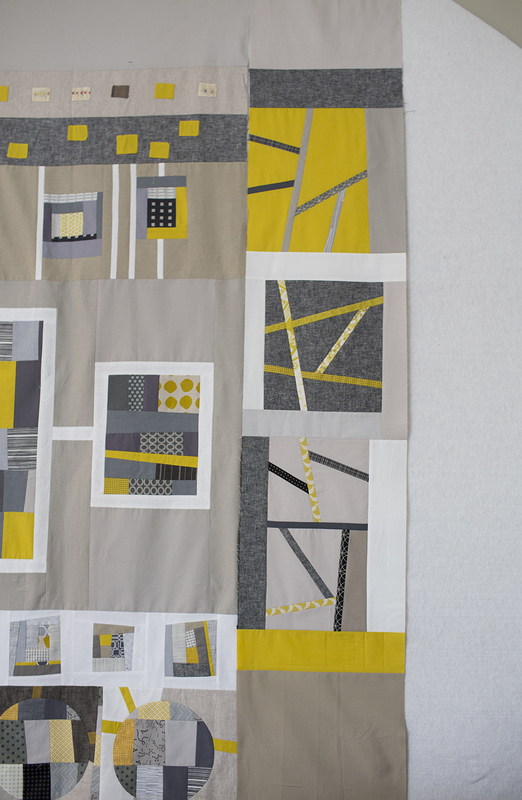 :) She sent a bit of chartreuse solid along with the quilt and everyone has been incorporating a little here and there. I decided to channel my inner ultra modern quilter and use the slice and insert technique I learned in Jacquie's class. I made 3 blocks of various sizes and then added some random, neutral sashing around them. I just need to sew the column to the rest of the quilt top and mail it off to Ashley! And if you get a chance, Monica just finished working on my quilt and you have to check it out - I'm loving it so much!